With the Olympic break now just a week away, trade rumors have been swirling around the NHL. A trade freeze that will occur from 3 p.m. ET on February 7 to midnight on February 23rd has essentially created two trade deadlines for the league.This is nothing new in Olympic years. Carolina GM Jim Rutherford understands the importance of getting a jump start on the competition like he did prior to the 2006 games in Torino: “I think teams would like to do what we did with Weight. He was the No. 1 targeted guy that year, and we jumped in early,” Rutherford told ESPN.com. The impending trade freeze has coincided with the improving health of the Avalanche roster; creating somewhat of a perfect storm for the team to make a deal. 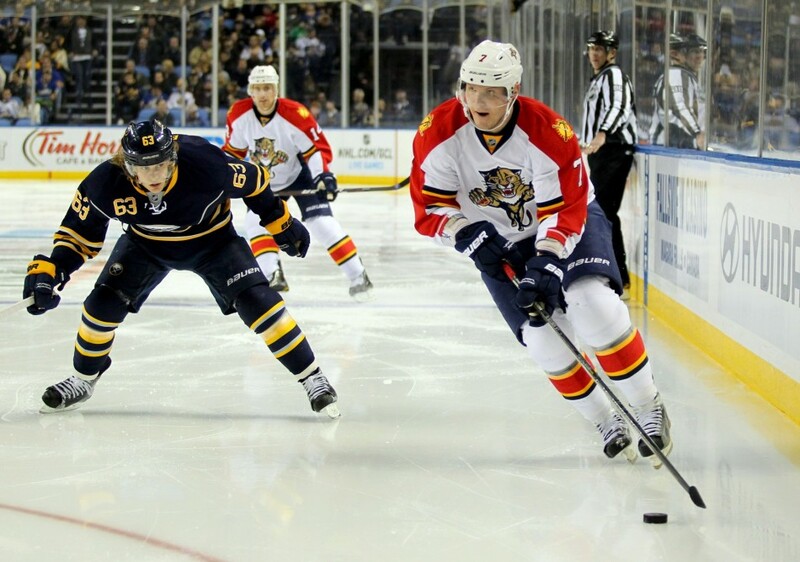 It is no secret that Colorado is in need of help on the back-end, and there were whispers that the Avalanche were interested when the Panthers were shopping Dmitri Kulikov in early December. Unfortunately, Colorado was in the midst of an injury bug at the time and the team and did not have the organizational depth to make a move. The opposite is now true as Alex Tanguay and P.A. Parenteau have both returned from long term injuries and restored the top 9 forward group they boasted at the beginning of the season. In fact, injuries to Cory Sarich and Nate Guenin could prove to trigger management’s urgency to find an upgrade on the blue line. There have been several teams scouting the Avalanche recently, which is further indication that a deal is imminent. With the Rangers, Penguins and Canadiens being the most frequent suitors, let’s look at a few names that could be in play. P.A. Parenteau : Renaud Lavoie reported earlier this week that the Montreal have been asking about Parenteau. One name floating for a possible trade: Avalanche PA Parenteau. A few teams called and heard Canadiens are interested. We'll see. Logic dictates that Parenteau is the odd man out in Denver with a healthy forward group and McGinn and Tanguay locking up the two top 6 RW spots. The fact that he has been a healthy scratch the last two games is cause for increased speculation. Parenteau is the most expendable player up front that will bring the best return, as he is still a 60 point player when given the minutes. Jamie McGinn – With his recent play on the top line, it is looking less likely that McGinn will be dealt. However, he is still available for the right deal and he is getting a lot of attention (especially from the Rangers). Size and physicality are always coveted come playoff time and his 1.75M salary and restricted free agent status makes him an attractive target for any contender. John Mitchell: Last week I explained how versatile Mitchell has been for the Avs this season. However, his contract expires this season and if he is not in the team’s future plans he will be used as a trade chip. Alone he will not command a great return on the trade market, but as part of a package he could be an attractive piece for a team looking for a boost up front. His 2.25M salary is also something the Avalanche would like to shed, but time will tell if a team is willing to take a flyer on him. Stefan Elliott – The former WHL defenseman of the year has become lost in the shuffle with the emergence of Tyson Barrie and the team’s glut of bottom pairing defensemen. He is no longer waiver exempt next season so it is likely the Avs will look to move him to avoid that complication. As a young puck moving defenseman, he would be an attractive piece to add to any package. Josh Gorges – While Gorges may not be available, he is definitely what the Avalanche need. Look for Alexei Emelin as a secondary option if the trade talks with Montreal continue. 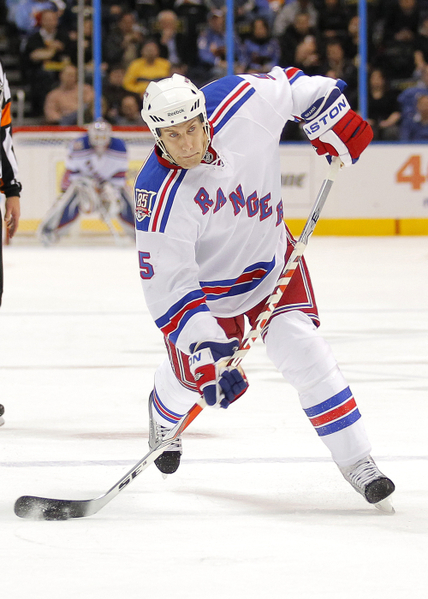 Dan Girardi – He will be highly coveted at the deadline if he doesn’t sign a new deal in New York. The Avalanche would love to have him but could be out bid by top contenders (Boston, Anaheim) if he hits the trade block. Simon Depres – The Penguins are always looking for wingers around the deadline, and this year isn’t any different. Pittsburgh might have the best defense prospect pool in the league, making them ideal trading partners for the Avalanche. Brooks Orpik could be a target, but Dan Byslma is Team USA’s head coach and definitely had a say to get Orpik on the team. It’s also unlikely the Pens trade a veteran before a playoff run. If this prove true, look for Roy & Co. to continue the trend of bringing in former QMJHL players and aim for Simon Depres. Fedor Tyutin – Tyutin is a solid defenseman playing under the radar in Columbus (ala Jan Hejda). The Blue Jackets could also use an offensive boost with Marian Gaborik missing time with injury (where have I seen this before?). However, Tyutin’s no trade clause could nix any deal before it happens. Look for impending unrestricted free agent Nikita Nikitin, who leads the Jackets in +/-, to be a secondary option. Where there’s smoke, there’s usually fire. It might take longer than a week to work out, but expect to see a new defenseman on the Avalanche blue line before the March 5 trade deadline. Check out our partners at TiqIQ for the best deals on Colorado Avalanche tickets for all 2013-14 games.